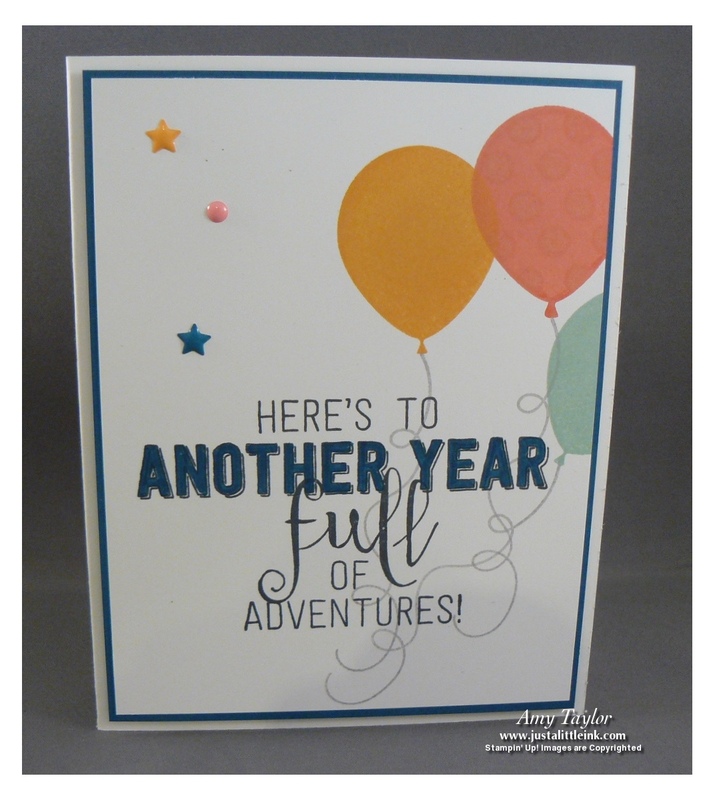 For the classes this month, I focused on the Balloon Adventures stamp set and coordinating Thinlits. There were so many great project ideas that I saw that were made with this bundle, but here is what I decided upon. 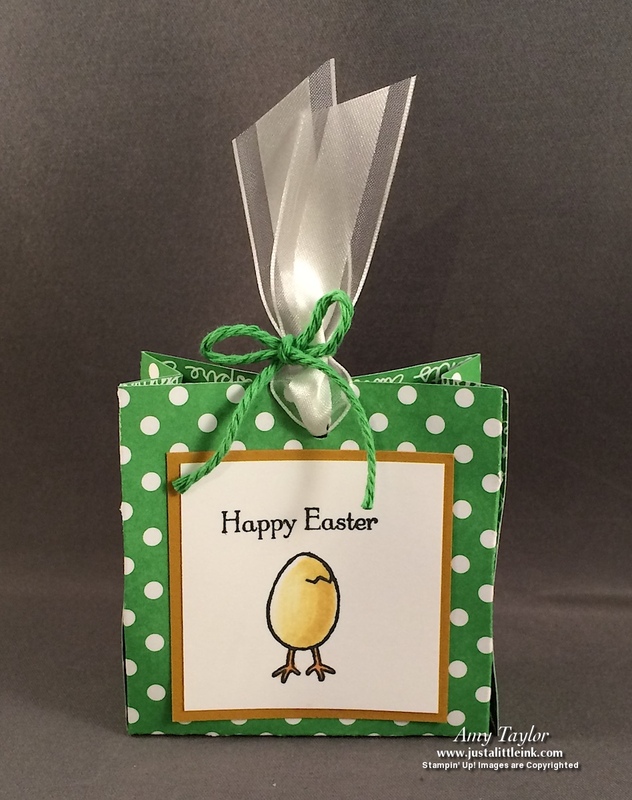 I've had customers wanting me to share the card-in-a-box for some time now. 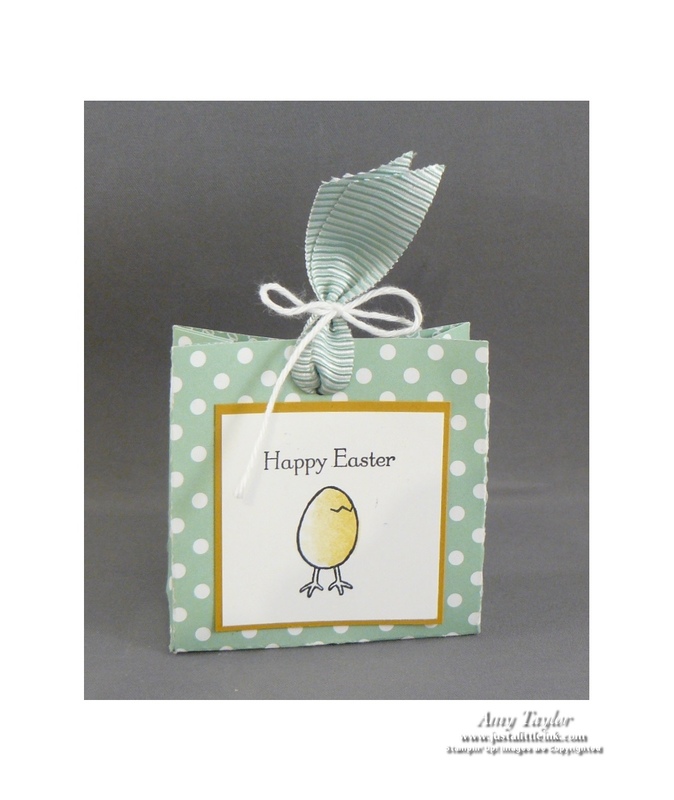 This simple card (yes, it really is fairly simple) was designed by fellow demonstrator Kara Golby. She made a video that I think explains the process very well. 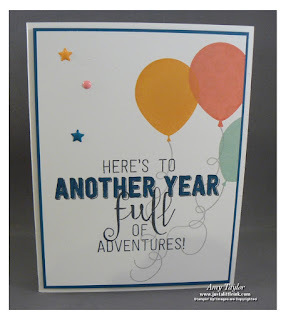 I loved the simplicity of this birthday card that could be for any age or gender depending on the colors used. 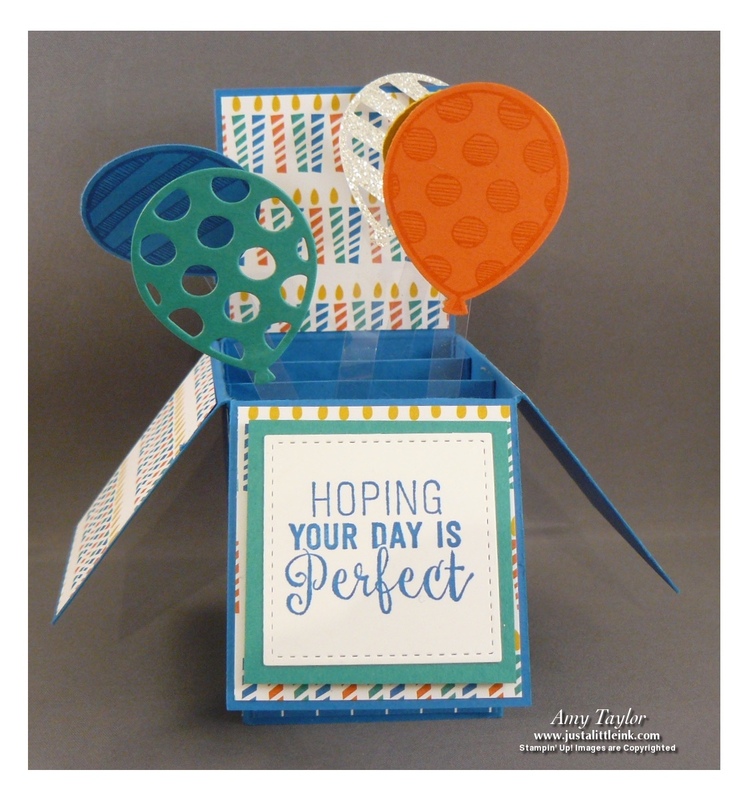 The original card idea came from another talented demonstrator, Nikki Spencer. 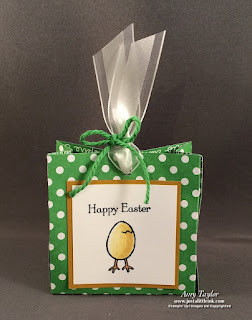 Finally, I couldn't finish the classes this month without sharing an Easter treat bag. 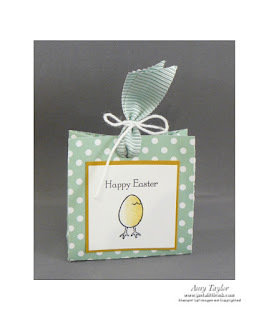 This cute little bag is made using a piece of designer paper measuring 6 inches by 4-1/2 inches. A great way to use up some of that paper that I'm sure you too have sitting around.